Hello fellow trail walkers. Are you up for a visit to a unique place today? I hope so because I’m heading for Headlands Dunes State Nature Preserve, and I’m inviting you to tag along. It’s not really cold today, but a heavy sweater or jacket would be a good idea because we’re going to the beach, and the wind will be strong. 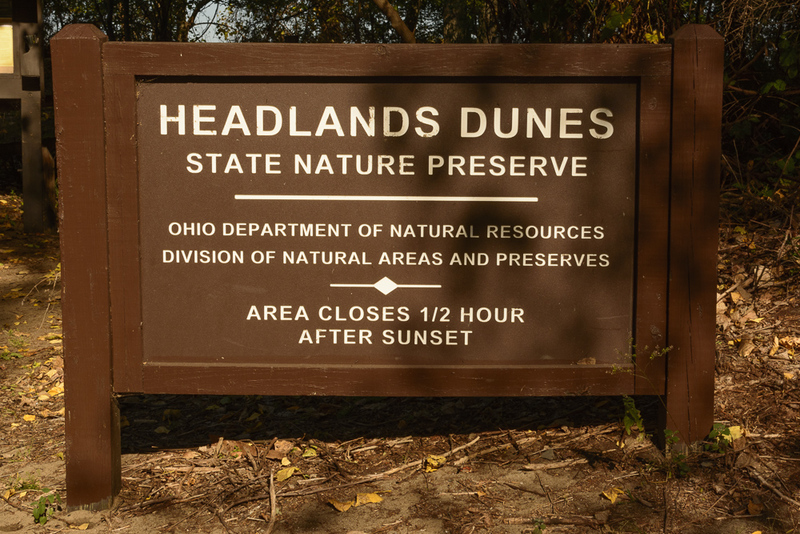 Our destination, Headlands Dunes State Nature Preserve, is located on the Lake Erie shoreline just to the east of Headlands Beach State Park, a popular summer recreational area. 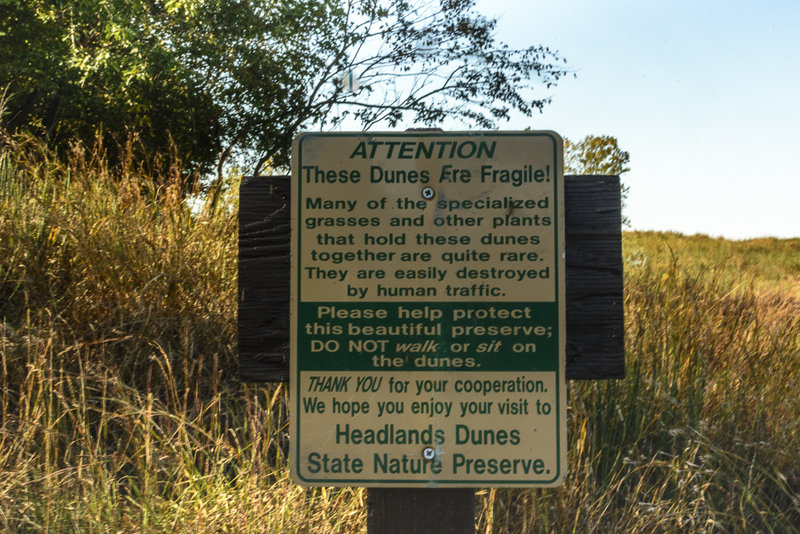 The dunes are unique because of their geological history, the plants that grow here, and the variety of birds and other wildlife that live here. Because of its location, the Dunes area is also a stopping off place for birds and monarch butterflies during spring and fall migrations. For that reason, it’s a popular destination for birders. 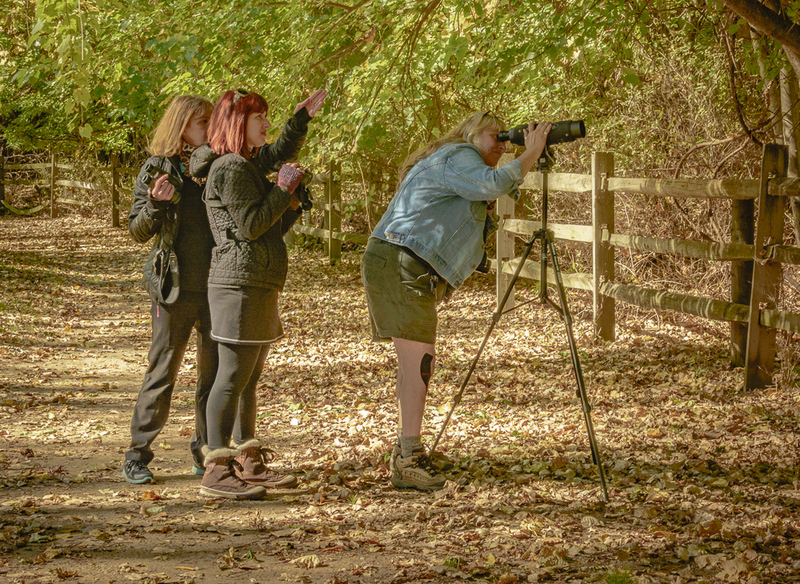 Although the fall migration will soon come to an end, I still encountered a few visitors with binoculars and spotting scopes on the trail today. “You better go soon; the Tower will close for the season on November 1,” I told them; then I headed on down the trail while they went back to their binoculars. Maybe I’ll run into them the next time I visit the Arboretum, which will have to be soon because this change in weather is going to bring out the fall colors, and they may even peak next week. 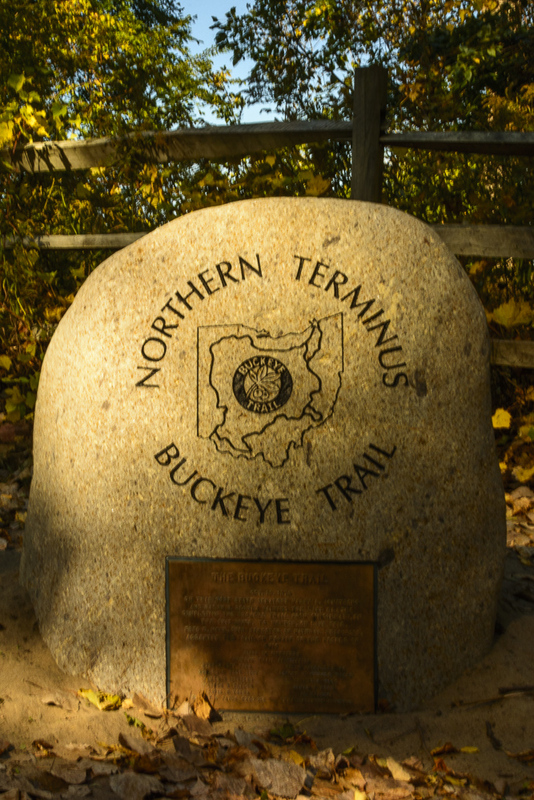 Our stepping off point for today’s walk is right here at this “rock,” marking the northern terminus of the Buckeye Trail. But more about that later. Let’s head for the beach now. I’ll stop talking to give you time to enjoy the landscape and the lake. As we walk, let’s go single file. stay on the path, and heed that warning sign. A fisherman navigating the wall with more confidence than I have! Note the date of this inscription in the rock. Walking back to the parking lot, I paused for a brief conversation with a delightful woman who was taking advantage of the pleasant weather to do a bit of bird watching. She will be the focus of this week’s Fabulous Friday Faces feature, so I won’t say more here except that it was an encounter I enjoyed. 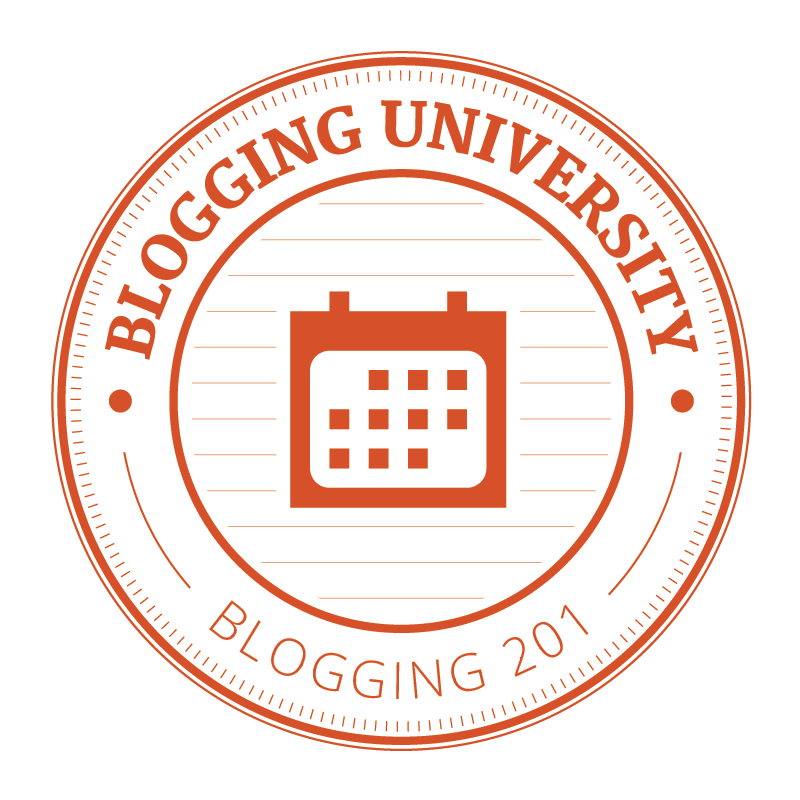 We’ve reached the end of the trail, but there is one more thing I want to mention. 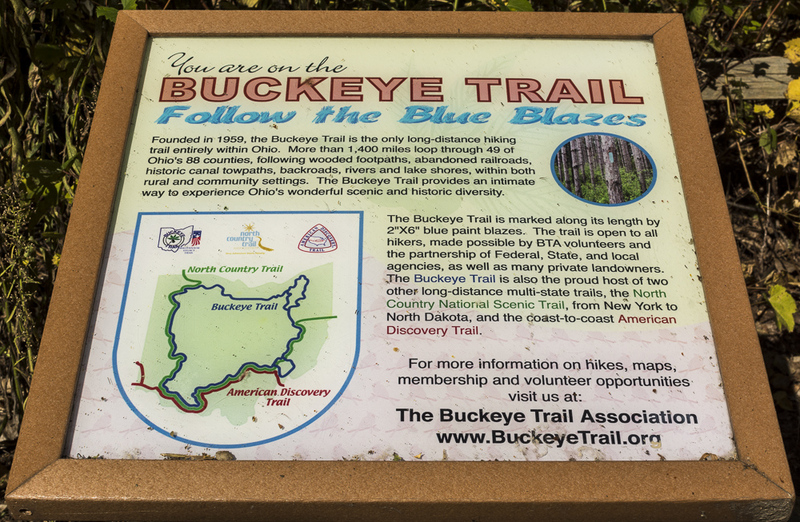 That sign over there, just by the “rock” where we began our walk, provides a bit of information about the Buckeye Trail, which is marked by blue blazes on the trunks of trees. Part of our walk today was on the trail, so I hope you will take time to read the information on the sign. Maybe I will do a future blog post on the trail. It would be an interesting one. Thanks for joining me on the trail today. It’s been great to have you along. Hi. Thanks looking. It’s good to hear from you. You have a way with words Skip! Enjoyed!! Thank you, Camille. I have fun being tour guide on these trail walks. Thank you for letting me know you enjoyed the tour. 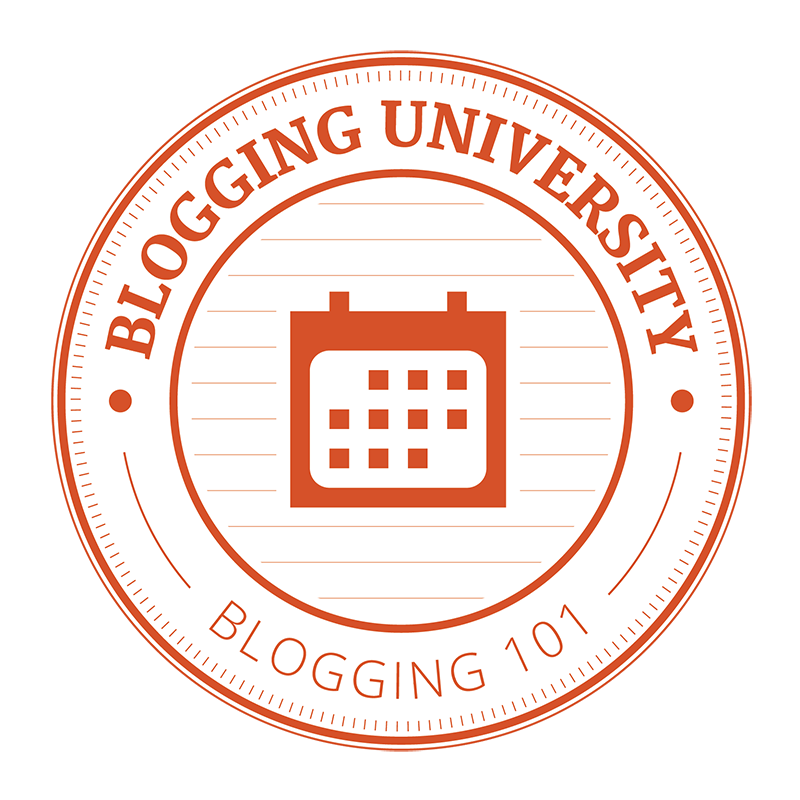 It’s great to be able to share these experiences AND get feedback via my blog.